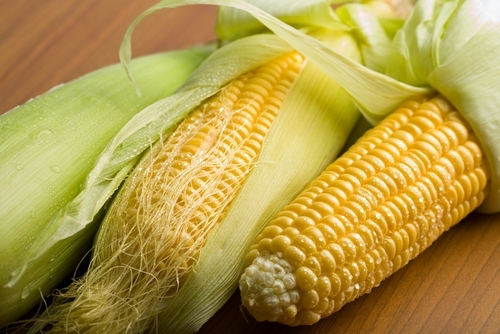 According to an article from the Science Daily website, a team of scientists have developed a pioneering approach towards boosting the levels of provitamin A in corn through selective breeding. Provitamin A is the nutrient that is converted to vitamin A upon being consumed. This new development will someday help improve the nutritional status of people in developing countries that use corn as a staple crop. The team that developed the novel approach is composed of scientists from Cornell University, the University of Illinois, the University of North Carolina, the City University of New York, Boyce Thompson Institute, DuPont Crop Genetics Research, the International Maize and Wheat Improvement Center and the U.S. Department of Agriculture. The new method developed involves a new approach in selecting a parent stock for breeding corn. During the said investigation, the researchers have also identified a naturally mutated enzyme that enhances the provitamin A content of corn. The researchers used a variety of techniques in order to get a detailed picture of the genetic mark-up of different individual lines of corn. One of them is the use of QTL (Quantitative Trait Loci) mapping which allowed the scientists to identify different regions of the chromosomes in corn that help in the production of provitamin A. Another technique used is association mapping, which deals with studying the differences in selected genes and looking for inheritance patterns to identify which genes match up with strains that produce the highest provitamin A content. A technique called Polymerase Chain Reaction or PCR allowed researchers to amplify and sequence the different versions of genes and find the ones that boosted the levels of provitamin A produced in corn plants. The approach of the study has led the team to find a mutant form of an enzyme that is essential to the different chemical reactions that help produce the provitamin A in corn. This discovered mutant gene is seen in lower quantities than the normal gene and helps steer the chemical reactions in corn plants to produce higher levels of provitamin A. One of the obstacles in trying to increase the provitmain A content in corn has been the cost of screening the progeny of parent corn stock used in breeding experiments. With corn being one of the most genetically diverse food crops in the world, this would render screening parent corn strains an expensive undertaking. But with the researchers developing a novel and more affordable approach to screen a parent crop and discovering a mutant gene that influences the production of the precursor of vitamin A will help make it easier for scientists to develop better corn strains in the future.